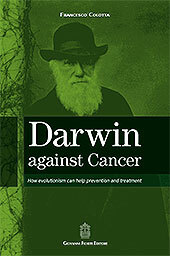 This book wants to recapitulate the cellular and molecular mechanism underlying the adaptative and evolutionary nature of cancer and to discuss how we might take advantage from considering cancer an adaptative and evolutionary disease to design new strategies for cancer therapy and prevention. Although psychosis constitutes a terrible disruption in the life of an adolescent, the long term effects can be considerably ameliorated by rapid diagnosis and decisive therapeutic action. 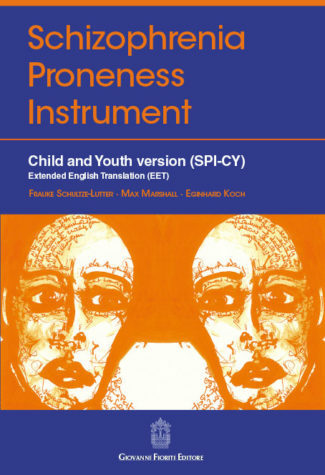 The SPI-CY will prove to be a vital piece of equipment in helping us revolutionise the care of young people with early-onset psychosis. "INABILITY TO WITHSTAND PRESENT-MOMENT EXPERIENCES IN BORDERLINE PERSONALITY DISORDER: A META-ANALYTIC REVIEW"
"DIFFICULTIES IN EMOTION REGULATION AMONG INPATIENTS WITH SUBSTANCE USE DISORDERS: THE MEDIATING EFFECT OF MATURE DEFENSES MECHANISMS"
"CLINICAL AND PSYCHOPHYSIOLOGICAL DATA OF THE CHERNOBYL PERSONNEL WORKING ON TRANSFORMATION OF THE OBJECT “SHELTER” INTO AN ECOLOGICALLY SAFE SYSTEM"
"MARCHIAFAVA-BIGNAMI DISEASE (MBD) AND DIFFUSION TENSOR IMAGE (DTI) TRACTOGRAPHY"
"SELF-INJURIOUS BEHAVIOUR AND SUICIDAL IDEATION DURING DIALECTICAL BEHAVIOUR THERAPY (DBT) OF PATIENTS WITH BORDERLINE PERSONALITY DISORDER"
"BIPOLAR DISORDER AND DEMENTIA: A CLOSE LINK"
"UPDATE ON TREATMENT OF CRAVING IN PATIENTS WITH ADDICTION USING COGNITIVE BEHAVIORAL THERAPY"
Giovanni Fioriti thanks all participants for taking part in the award, submitting their papers to our journal. Remember that our award runs a risk because only time can tell about the real value of the papers. We believe it is worth running this risk. Giovanni Fioriti also warmly thanks Giuseppe Craparo, Alessandro Grispini, Leandro Malloy-Diniz, Laura Mandelli, Michele Poletti, Adriano Schimmenti, Frauke Schultze-Lutter, Alessandro Serretti, and Alfonso Troisi for their work and time as members of the evaluation committee. Lastly, heartfelt thanks go to Donatella Marazziti (Clinical Neuropsychiatry editor-in-chief), president of the evaluation committee. An exploratory study on problematic Internet use predictors: Which role for attachment and dissociation? Cognitive functioning, clinical profile and life events in young adults addicted to drugs. Does being a girl make a difference? Introduction to the Italian Translation of Darwin's Cathedral "by D.S. Wilson"